The news event of “Core Retail sales and CPI” of Canada released before sometime, it makes the Canadian Dollar to become too weaker. 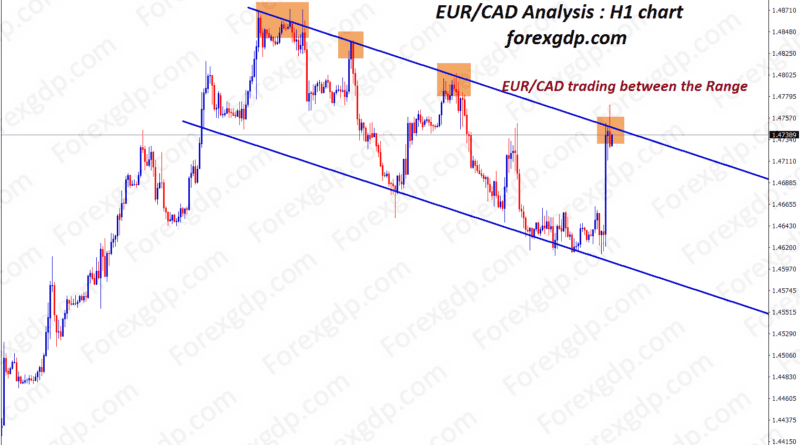 However, this gives some selling opportunity on EUR/CAD pair. Because, the market trading between the range for a while and now market reaches the top level of the range, it have chances to fall down again. Thank you for being a part of Forexgdp Team !